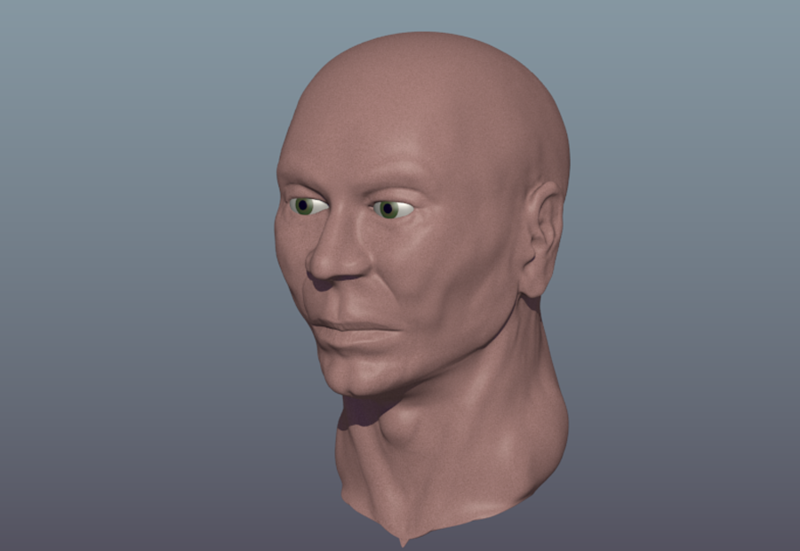 JKS Character Sculpt, work in progress. Created from scratch, a simple sphere. No body or character basemesh was used. No references were used, entirely from memory & imagination. Mudbox 2019 using dynamic tesselation. Work in progress, based on the Blender Foundation's Sintel Character. Modeled in Maya and Mudbox 2019. Work in progress, subdivision level 4 so far. 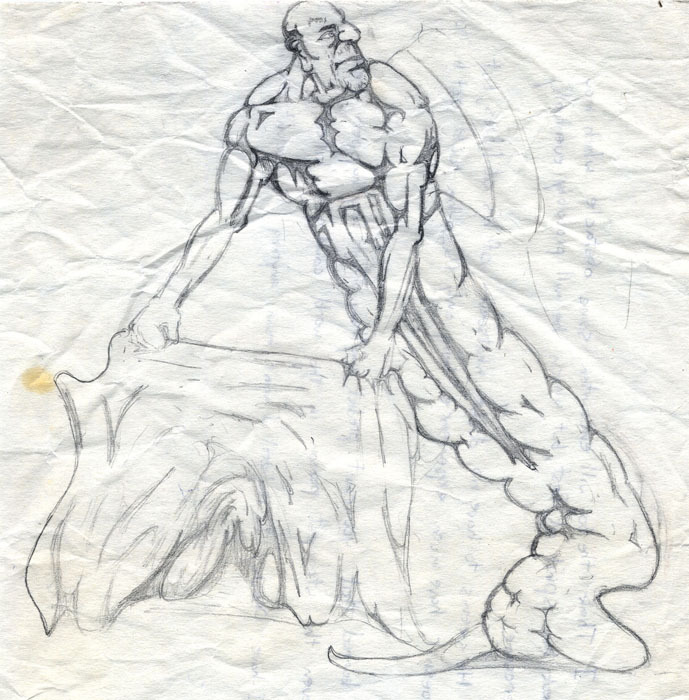 Some anatomical reference on fine details, but mostly from memory/imagination. Put some work into facial "deuglification." Hopefully the next software update has a deuglification modifier! 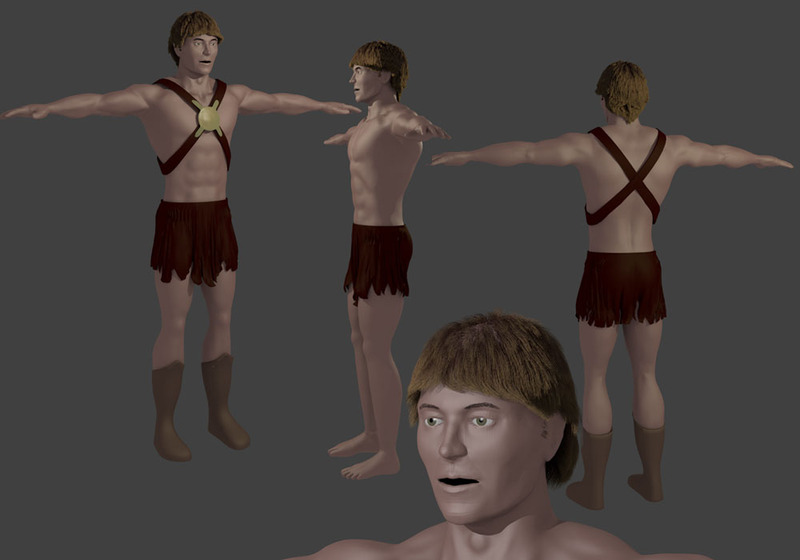 Inspired by John Carter, main character of Edgar Rice Burroughs' classic Barsoom book series. In the story, Carter is a decorated Confederate army veteran after the Civil War who is mysteriously transported to Mars, where he is embroiled in an epic conflict among the alien races living on the red planet. His Earth-raised physique and elite combat training give himgreat strength and agility advantages in the weak Martian gravity. No, it's not Spider Man! 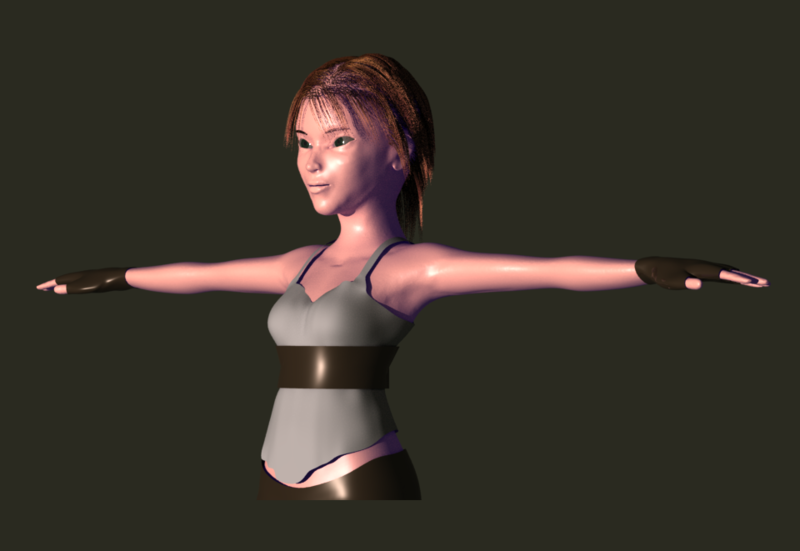 It's a modeled base mesh, to be used as a foundation for a sculpted 3D character. 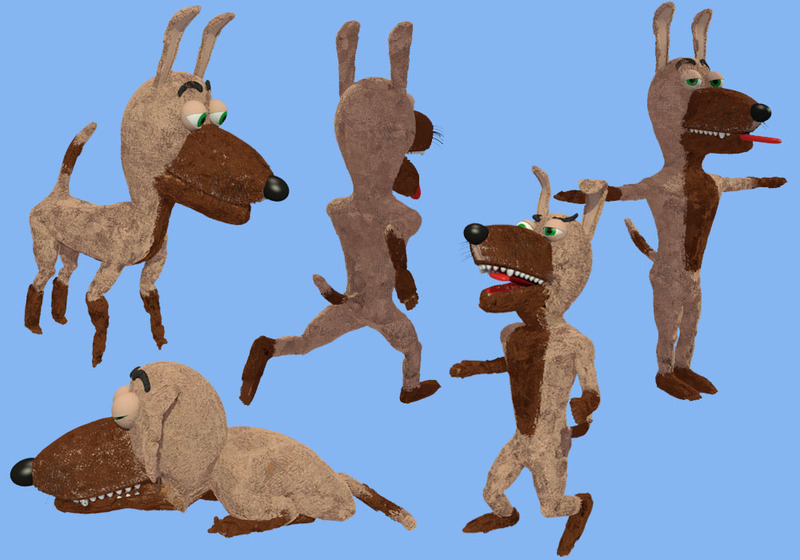 This was originally made from a vertex edge "stick figure" with skin and subdivision surface modifiers. 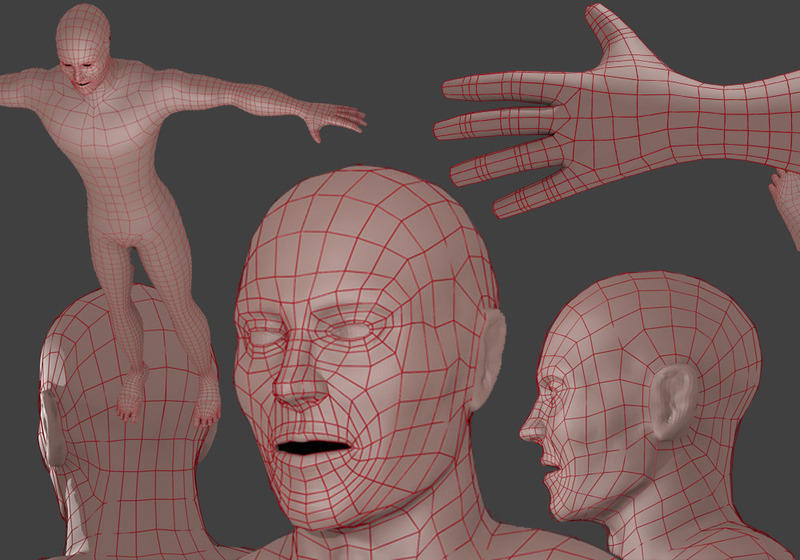 Additional vertices projecting from the head created basic edge loops on the front and sides of the skull which could then be hollowed out, extracted, and adjusted to create face loops, simulating facial muscles for rigging, as well as loops for the ears. All vertex faces are quads (4-sided), and vertex poles (where topography flows merge) are at the intersection of 5 edges. Polycount=11,982 tris; 6,036 verts. 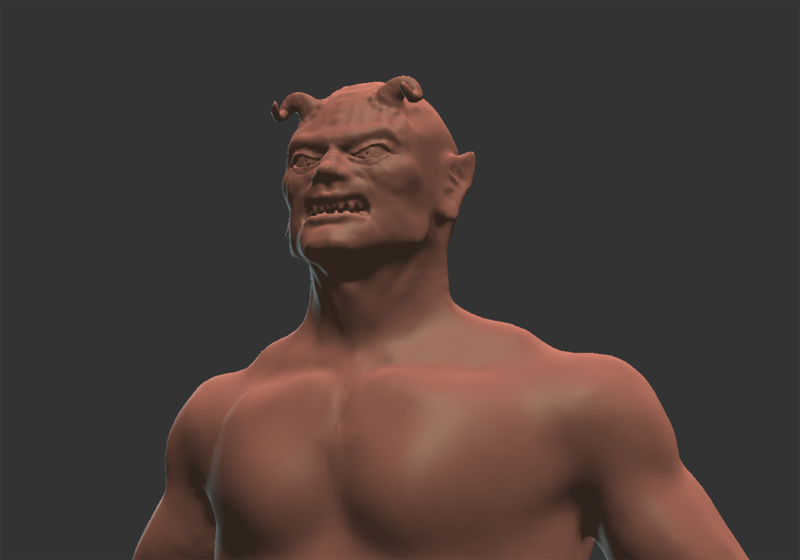 An exercise using the digital sculpting tools with a Multiresolution modifier in Blender. Almost entirely from memory/imagination. Did not use a reference, except for anatomy check on the ears. 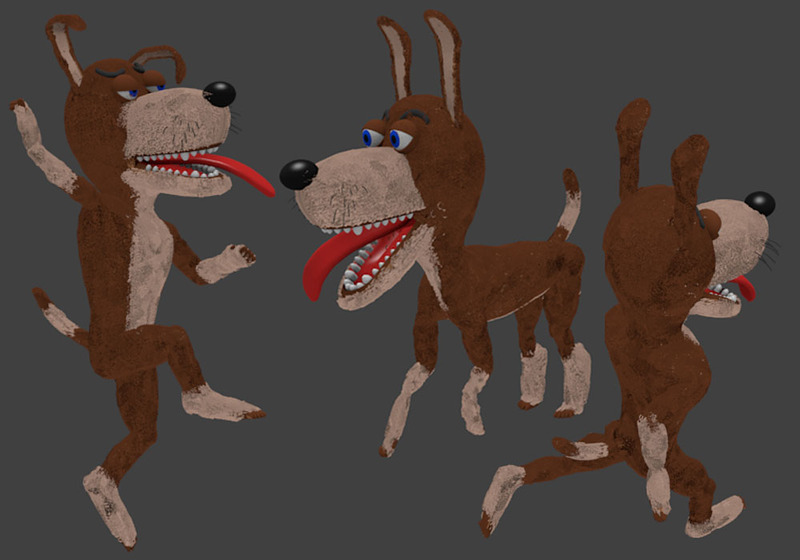 Modeled, textured (with particle systems) and rigged in Blender. Doggy Doo is good natured and naive but mischievous mutt, a combination that gets him into trouble often- always much to the chagrin of his more-cautious brother-in-paws, Doggy Don't! 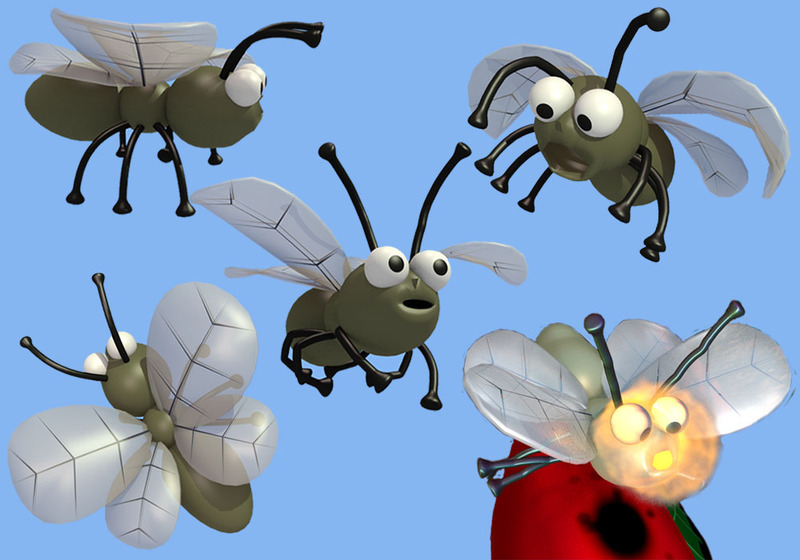 Modeled, textured (wing transparency) and rigged in Blender. This curious bug winds up instigating the whole calamity with Doggy Doo and Doggy Don't. Modeled, textured (with particle systems) and rigged in Blender. Doggy Don't is the brother of Doggy Doo. He likes to think he's the responsible one, but when it comes down to it, he's just as bad or even worse than Doggy Doo! This mallard was created using Autodesk Maya. 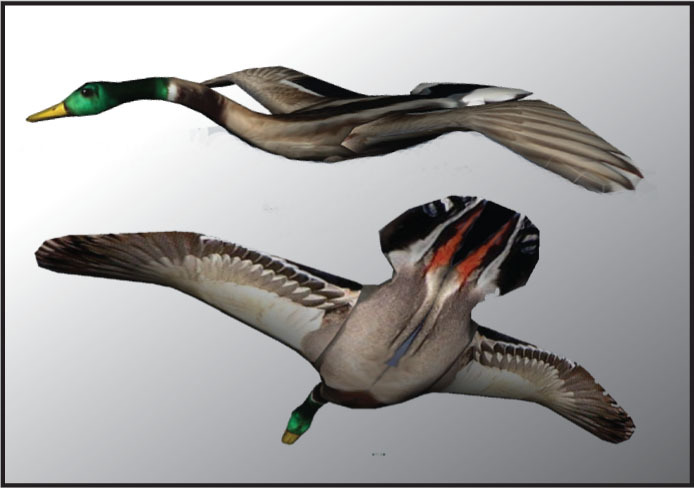 The shape of the bird was sculpted from simple shapes, refined, and then colored in Adobe Photoshop by mapping the flattened “skin” of the 3D object to 2D photographs of mallards. 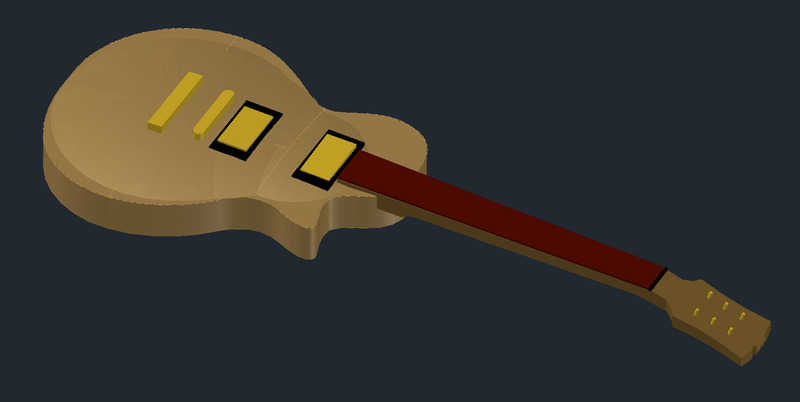 This image is based on an actual guitar, and was modeled in 3D using Autocad. The real guitar was hand-built by my brother Jacob and painted by myself. Drawn and painted in Photoshop with a Wacom Cintiq drawing tablet. Bitmap based. Lots of layers. 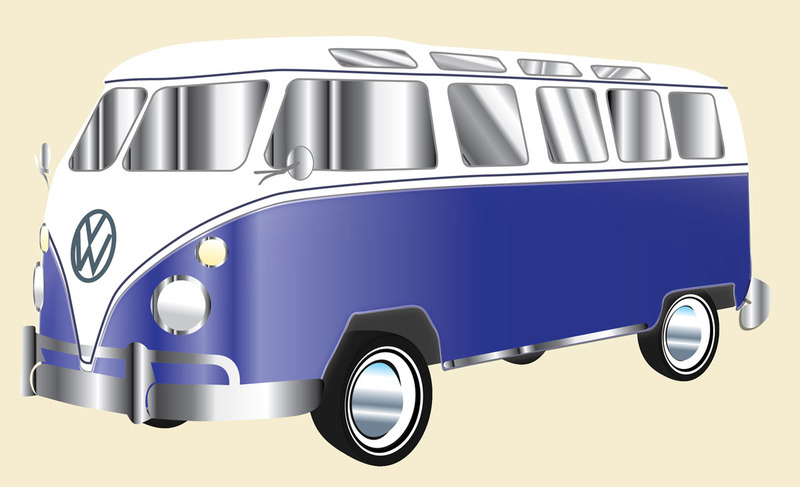 Drawn in Illustrator with help from Wacom Cintiq. Entirely made up of vector-based objects, labeled and divided into layers. Referenced from a personal photograph of a friend. Drawn in Illustrator with help from Wacom Cintiq. Entirely made up of vector-based objects, labeled and divided into layers. Referenced from a personal photograph. This was a stone lithograph, the image being scratched into a stone tablet and then hand printed using a manual press. 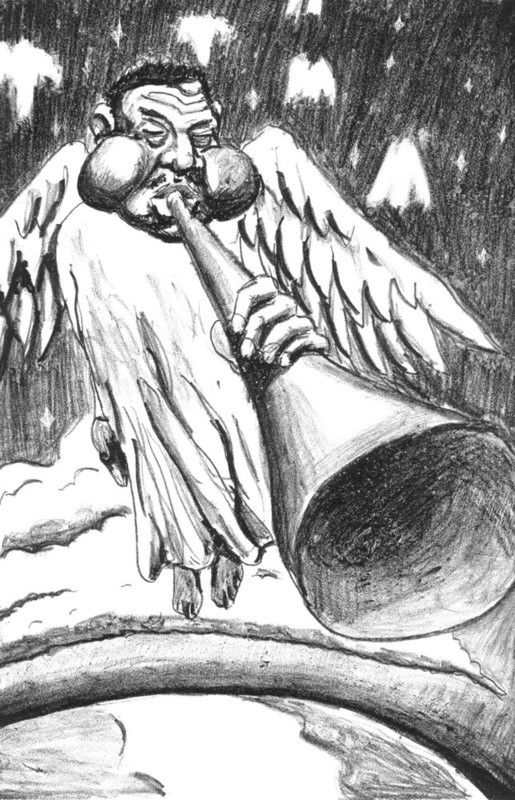 The concept was inspired by Jazz great Dizzy Gillespie and Gabriel the Archangel, both very powerful horn players! 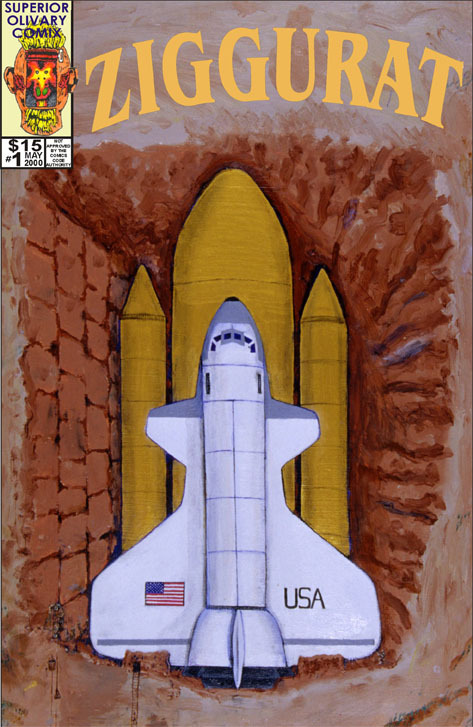 Acrylic painting of a mysterious relic: a stylized space shuttle, with gold external tank and rocket boosters being excavated at an archeological site. 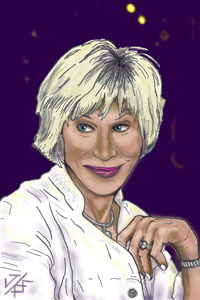 The painting was scanned into Corel Draw where text and other graphics were added. 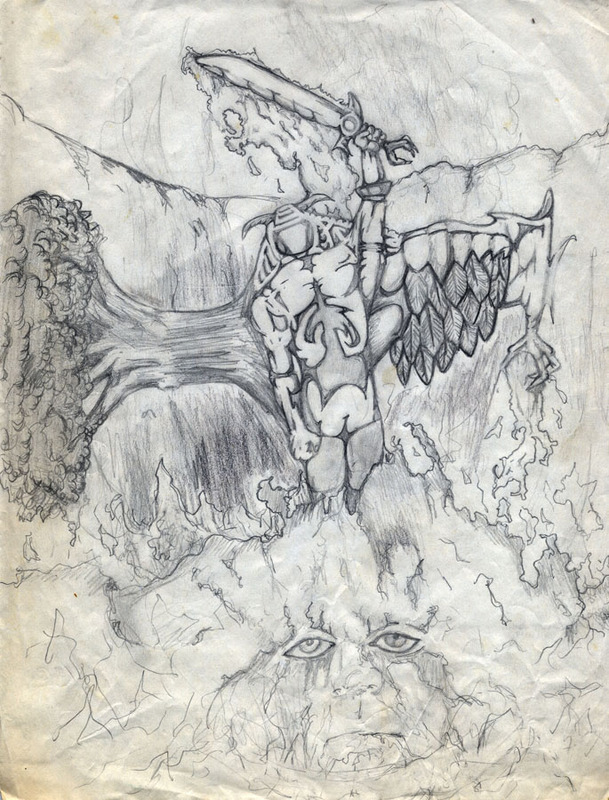 The finished cover was used for rock band Superior Olive's concept album/comic book titled Ziggurat. Personalized, hand illustrated portrait cards presented to employees on their one-year work anniversary. The whimsical illustrations are intended to capture the personality of the subject in a humorous or sentimental way. 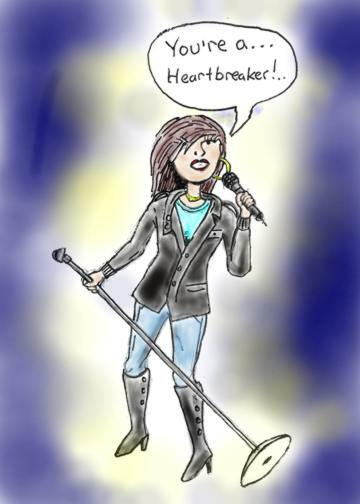 Hand-drawn, then scanned and colored in Photoshop. Note: Link opens multi-page PDF in separate window. Scroll through the pages to see additional illustrations. Definitely someone you wouldn't want to meet in a dark, intergalactic or post-apocalyptic alley. 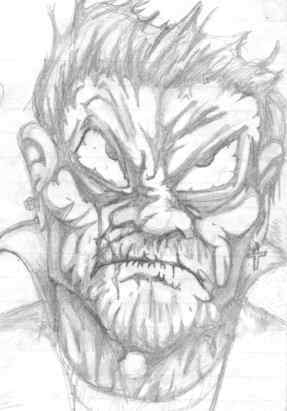 A streetwise demon or maybe a tough-guy alien. Better make sure you don't mind losing your cassette tape before you feed it to this beastie! Hint: the Dude would definitely NOT want to play his Creedence tapes on this particular stereo. And if you choose to insert a tape, watch those fingers! I've always had a fascination with juctaposition and dichotomy of setting: Old meets new, high tech meets low tech. A novel subject in a mundane setting. 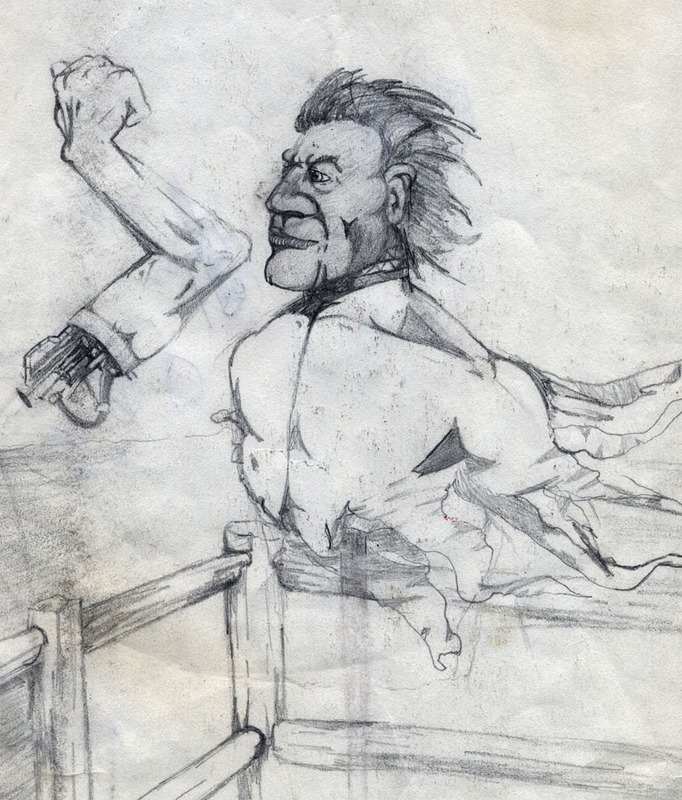 Floating detached torso, Floating cyborg arm. Mysteries! A being that could only exist in an otherworldly realm, a place Rod Serling might have imagined, where the lines between thought, consciousness, dreams, and reality cease to exist. Another face only a mother could love. Not sure what species of mother gave birth to this dude, but he he is definitely up to something. Is he bullfighting? Or just shaking the sand out of his beach towel?